They tell me disk turntables are back in fashion. 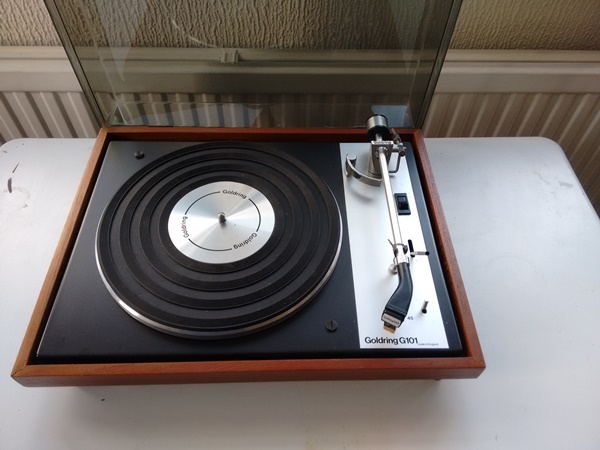 Goldring G101 belt drive turntable in wood case with undamaged clear lid. Not been used quite a while but works OK. New drive belt could be wise investment (£14 Ebay). Thanks Snod, good to see you again.